Fill cracks and joints on entire hardwood floor with xtra fill wood mixture using sawdust from floor. Dries in less than 2 hours under normal conditions. Apply prior to final stain and finish. 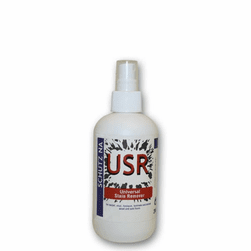 Extra Fill is easy to sand, has excellent filling capacity and is a water-based formula that accepts stain just like the rest of the wood floor. 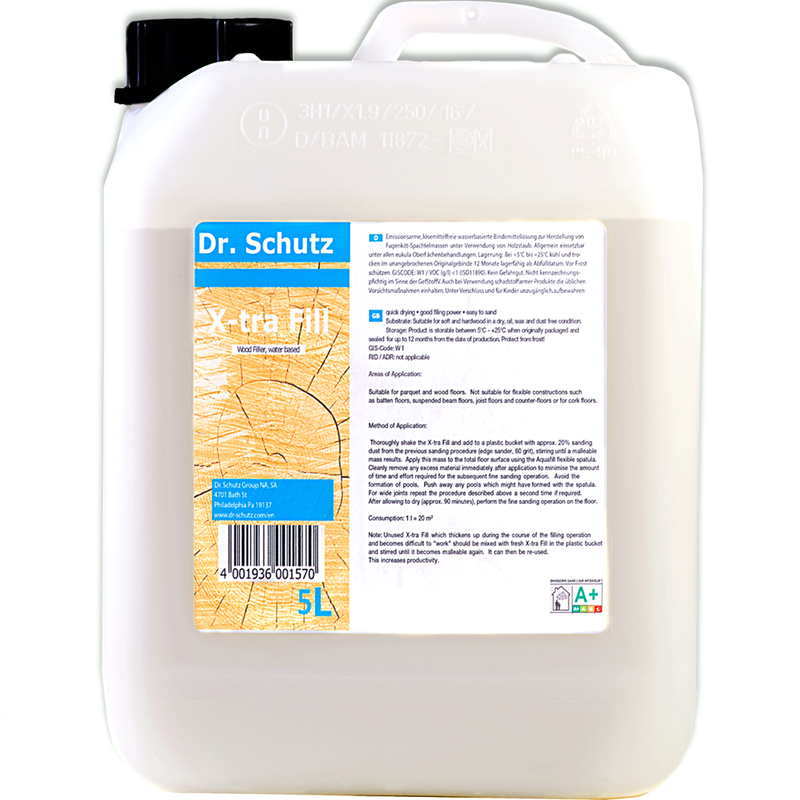 Watch the video for easy to follow instructions for using Dr Schutz X-tra Fill Wood Filler, 5L. Also available in a smaller 1-liter size. Note: Not suitable for elastic assembly (i.e. : board and flooring joists), subfloors, cork flooring and over-wide joints. For Use On: Hardwood Floors. 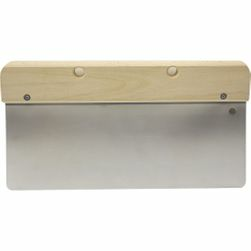 Use during sanding process. 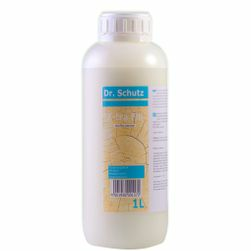 Floor must be sanded and free of free of oil, wax, dust, and debris prior to applying Dr Schutz Xtrafil. Shake Xtra Fill bottle thoroughly. Using sanding dust from an edge sander fitted with 60-grit sand paper, mix the fresh sanding dust with X-tra Fill in a clean bucket until it forms a paste. 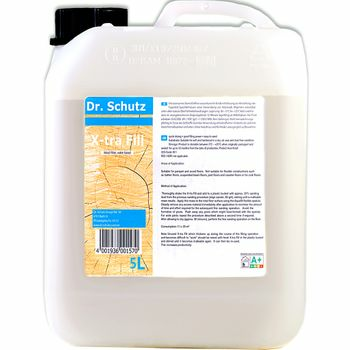 Using a flexible wood spatula (sold separately), apply the sawdust-xtrafill mixture to the entire wood floor surface area working across the grain in sections. Avoid pooling and puddling of the mixture on the floor. 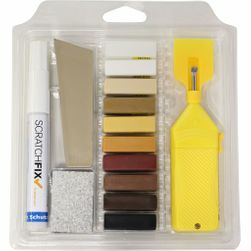 If mixture becomes too thick or dries out during application, add more Xtra Fill to reach desired consistency. Allow floor to dry for approximately 90 minutes under normal conditions. Go back to fill-in missed cracks or gaps in floor. 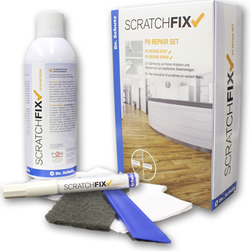 Continue fine sanding floor with 100-grit paper after Xtra Fill application is dry. Dry time may vary depending on humidity and temperature. Coverage: 500-1000 sf per 5-liter container depending on size of cracks to be filled (not to exceed 3/32"), type of wood being applied to as well as temperature and humidity. Note: Not suitable for elastic assembly (i.e. : board and flooring joints), cork flooring and over-wide joints.